It costs less to live in Bangalore, India's high-tech capital, and Bombay, India's financial capital, than to live in Pakistan's megacity of Karachi, according to the 2016 Economist Intelligence Unit (EIU) report. 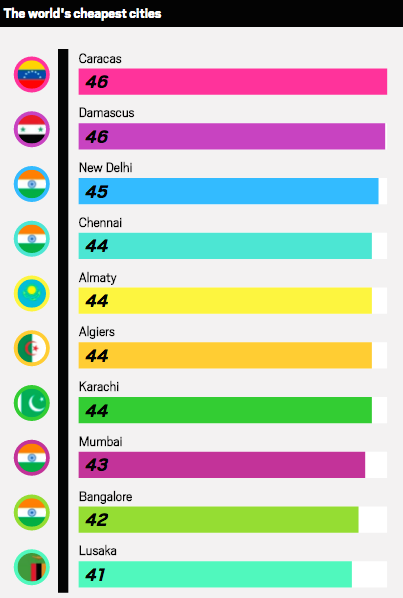 The survey says Karachi's cost of living index is 44 while Bangalore's is 42 and Mumbai's 43. 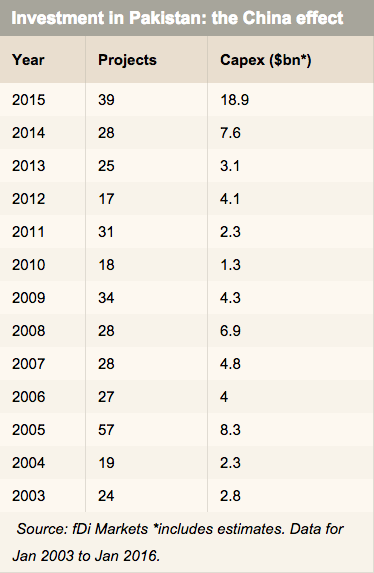 The survey bases it on New York City's cost of living set at 100. Lusaka, Zambia, is the cheapest with cost of living index measured at 41. The year 2015 was a bumper year for foreign investment pouring into Pakistan, says the Financial Times. The country saw 39 greenfield investments adding up to an estimated $18.9 billion last year, according to fDi Markets, an FT data service. This is a big jump from 28 projects for $7.6 billion started in 2014, and marks a new high for greenfield capital investment into the country since fDi began collecting data in 2003.